LOL! Swap the clip for something a bit scifi and you’ve got you Starwars Steampunk pistol ready. Not a C-96. 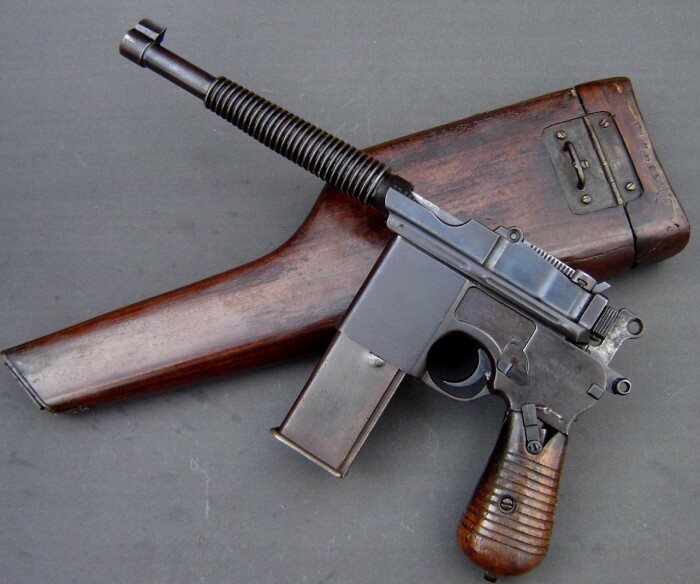 That’s a Mauser 712 Schnellfeuer … but I’ve never seen that kind of barrel on one before.